The Royal Singapore Air Force’s Elbit Systems Hermes 450 unmanned air vehicle fleet has reached full operational capability (FOC), some eight years after the system was delivered to the force. 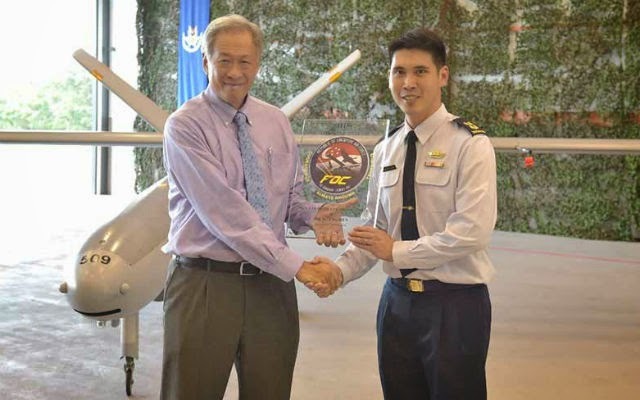 Following the delivery of the UAV to RSAF’s 116 Sqn in May 2007, the pilots, engineers and maintenance crew have undergone “intensive training” to allow them to operate the aircraft in line with RSAF procedures, Singapore’s defence ministry says. A ceremony to mark the FOC achievement was held at Murai Camp on 30 March, with defence minister Ng Eng Hen in attendance. 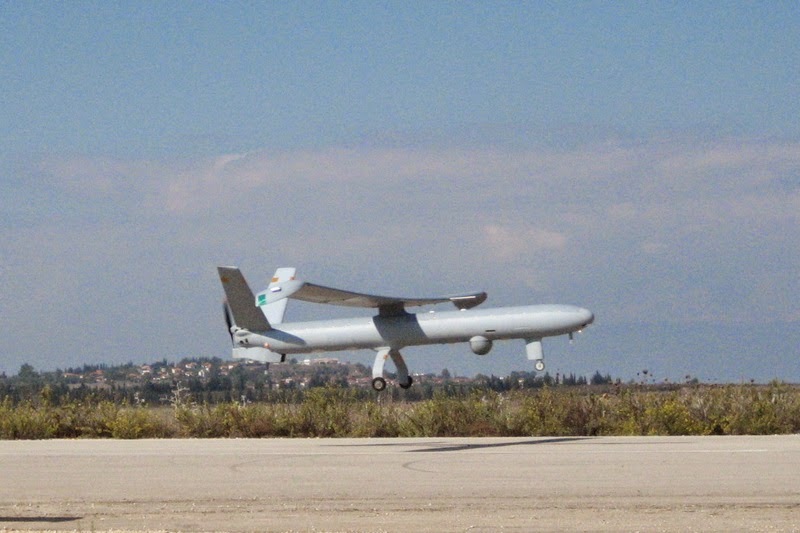 The Hermes 450 was acquired to supplement the air force’s Israel Aerospace Industries Searcher and Heron 1 UAVs by providing a vehicle with longer endurance, advanced avionics and better sensors. Key to this is the 3-in-1 payload, which combines electro-optical, forward-looking infrared and a laser designator in one pod. “This enables the H-450 to augment our battlefield surveillance capabilities by conducting a wide array of missions such as target acquisition and designation, reconnaissance and battle damage assessment,” the defence ministry says. “I am glad to note that the UAV command is also reorganising itself to better develop its air ISR capabilities and to translate raw data into actionable intelligence more quickly, for our ground commanders and troops to use,” Ng adds. The RSAF deployed to Afghanistan for six years in support of the International Security Assistance Force mission, during which it utilised UAVs to provide surveillance and identify threats. "The UAV task force and our imagery analysis team received accolades from many military commanders and political leaders," Ng says.